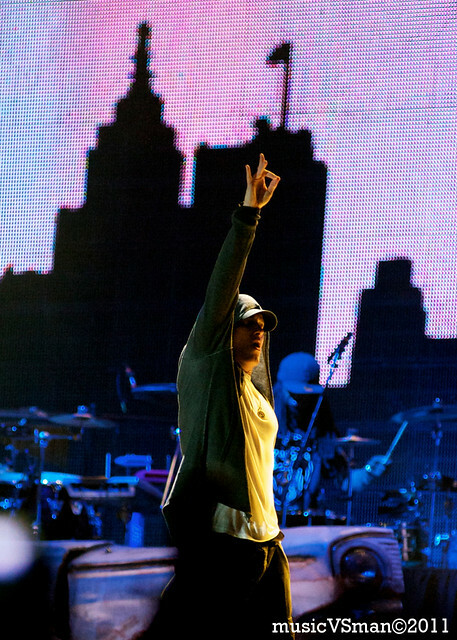 Getting Eminem to headline on Day 1? There was no doubt that Kanrocksas was seriously going all out in its inaugural year. Excitement for the Detroit rapper was felt all day, where it seemed like you were always within eyesight of someone clad in an Eminem or Bad Meets Evil shirt. 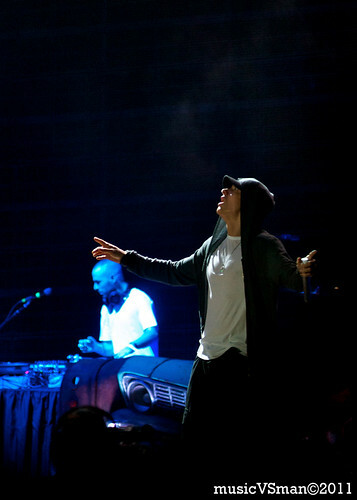 The Good: I’m not really a big Eminem fan, but I think the enormity of the event (especially considering how rare his concert appearances are these days) still kept me really excited for his set. 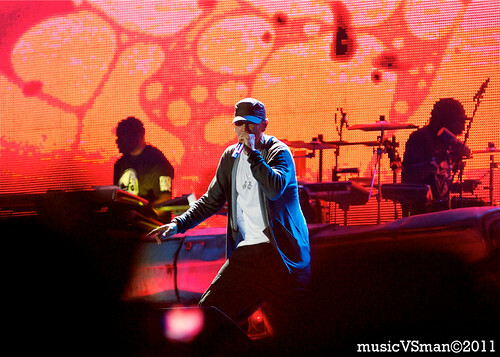 Visuals and stage production were kept at a minimum, transforming the set into a focused showcase on him. Royce Da 5’9 guest appearance. 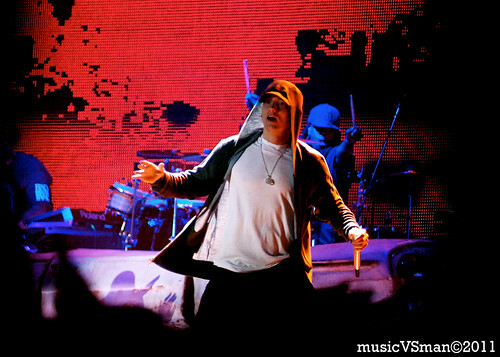 The Bad: Slim Shady’s management restricted the photo pit to only a handful of photographers, so the only option was to brave the crowds and try to get as close as possible to the stage. “Close as possible” wasn’t really that close (but surprisingly the 80-200mm lens covered a lot of distance). Supposedly a lot of reliance on backing tracks. The Irrelevant: “Kill You” ended with the loud crack of a bullet shot. 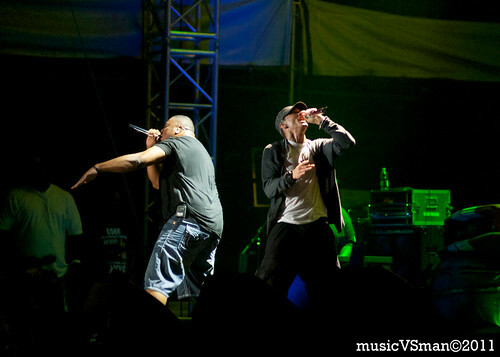 The following is my favorite Eminem story heard the next day about that moment. Photographer stands next to big burly guy when the bullet shot goes off. Photographer visibly flinches.